Beach Chic. 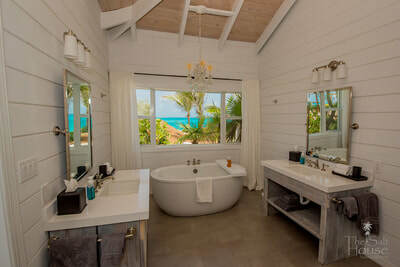 Casual Luxury. Effortlessly Cool. 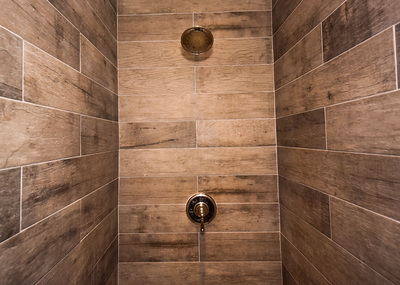 Superlatives for days. 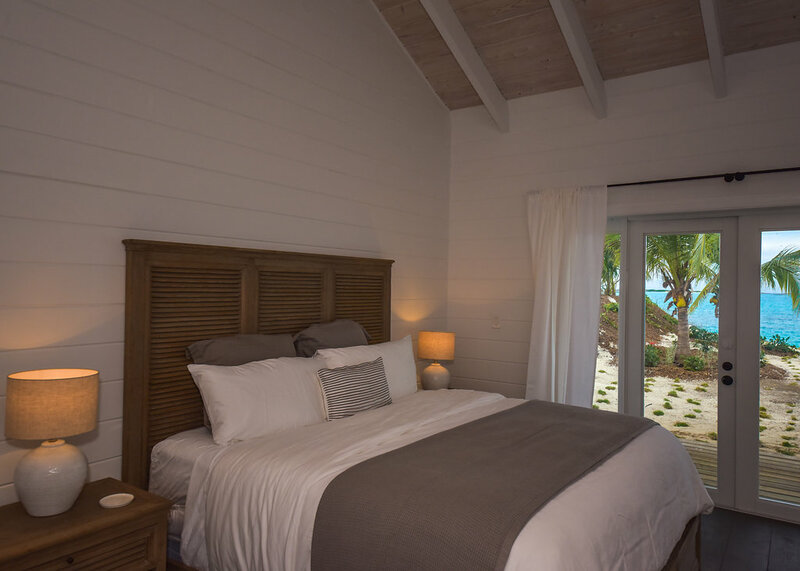 A blend of Restoration Hardware furniture, local craftmanship, and spectacular views invite you to spend a little more time in the western wing of the home. 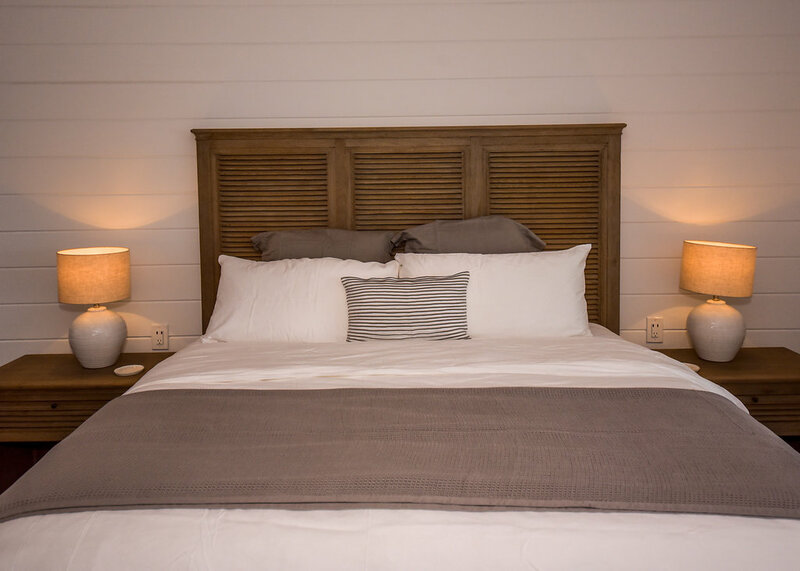 Linens and a down comforter make the King cozy and alluring. 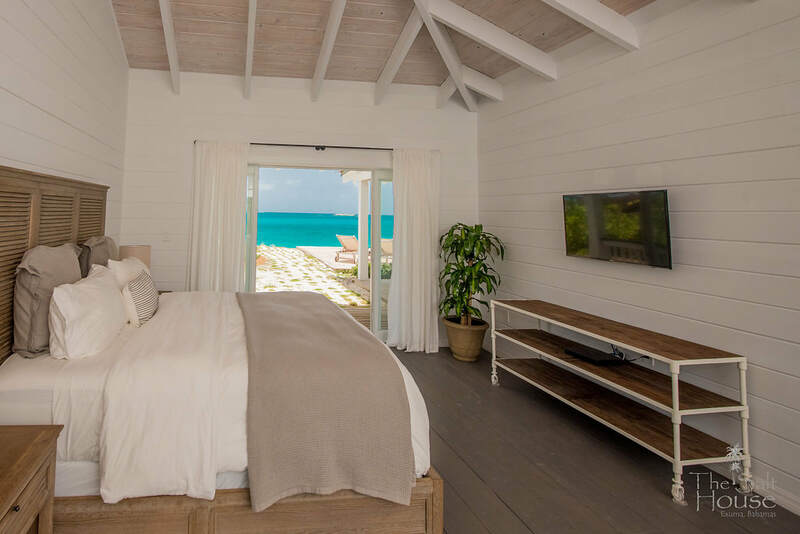 Large glass french doors open to a walkout porch with views of coconut trees and the Exuma blue ocean with access to the infinity pool. 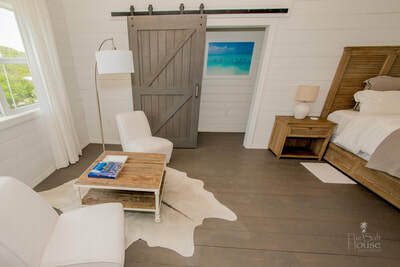 Entering the Master Bathroom through the locally crafted barn door and the space instantly grabs your attention. 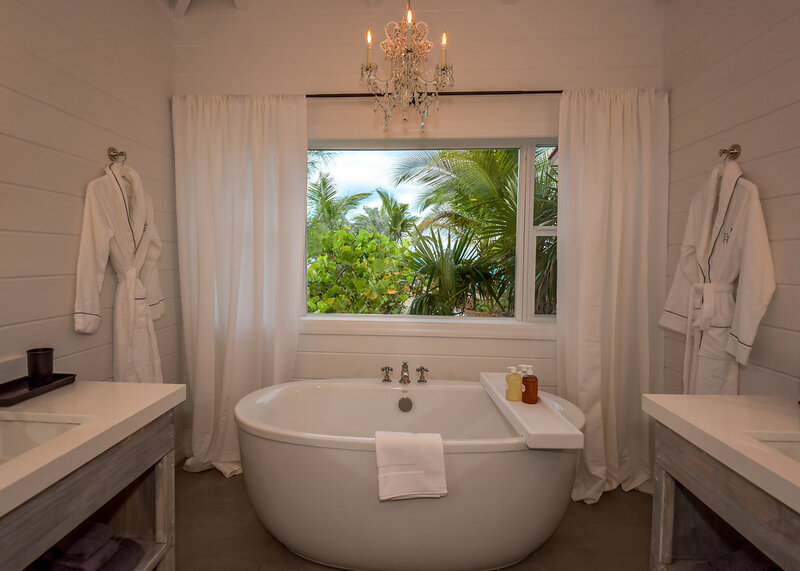 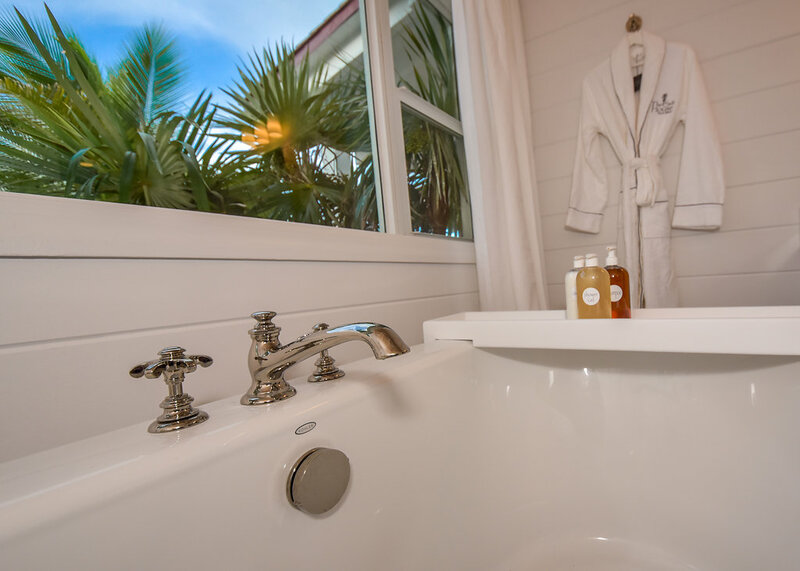 From the soaking tub centered below a chandelier and large window looking out to the tropical flora, to the his/hers custom built vanities, you'll feel welcome and indulgent. 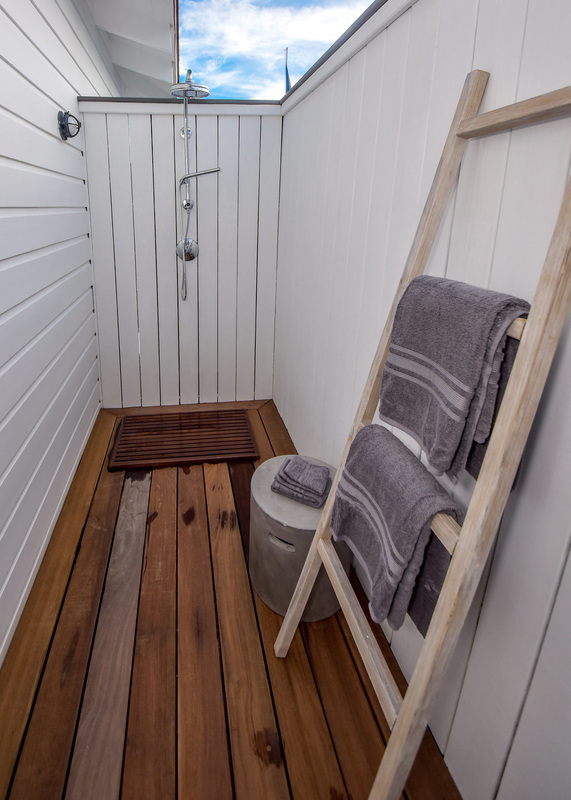 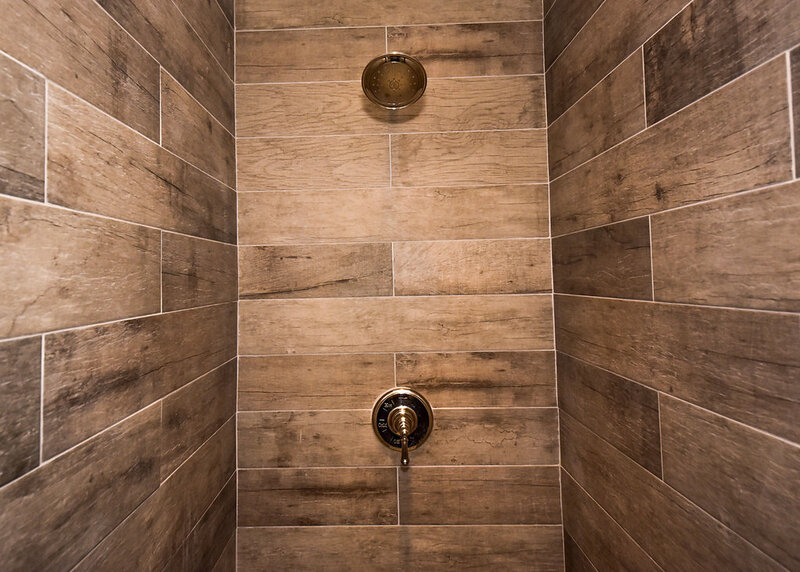 The walk-in shower is gorgeous, while the private outdoor shower with ipe wood floors will make showering under the blue sky or stars spectacular.